What’s the international capital of fashion? And of wine? The answer is the same: Milan! Bottiglie Aperte 2017 has just ended, as you may have seen on my Instagram Stories. There was a great change compared to the previous edition. Federico Gordini, the founder, wanted to have a more business-like style for his wine event. The workshops were about some interesting topics. Each Masterclass was better than the ones before. Now, I want to share with you my impressions of the event and the significant wine tastings I went to. The 6th Edition of Bottiglie Aperte took place in Palazzo delle Stelline, in Milan from 8th to 9th of October. There were more than 150 wineries with over 900 wines! In Bottiglie Aperte you could taste wines from small and big producers. Then you could also compare the different styles of production. That’s a fascinating comparison! In addition to the wine tastings, there were three hot topics: the dangerous climate change, the wine entrepreneurship for young people and the investments in the Italian wine market. The garden of Palazzo delle Stelline was prepared as food area by “Al Cortile”, the educational restaurant of the Food Genius Academy. This edition was organized in collaboration with ABS Wine & Spirits, a company of the Aliante Business Solution group, specialized in wine-related business events. This is not intended as a rank list, but only a reminder about the new interesting wines that I discovered during Bottiglie Aperte 2017. Pale yellow color, the grape is Vermentino. On the nose, the aromas were very intense with notes of citrus fruit, mango and peach. Well balanced, fresh and sapid. Pale yellow with gold highlights. The grape is Malvasia. It has a scent of peach, tropical fruit and other Mediterranean notes. It was a fruity explosion inside the mouth. An important thing, the wine is dry. 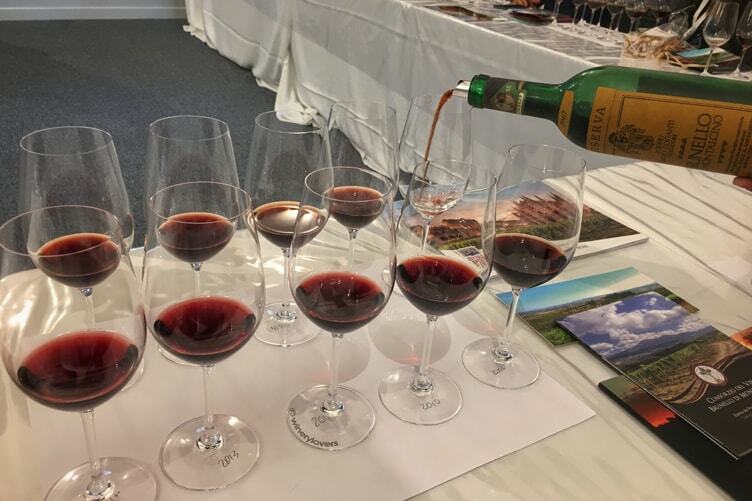 17 Masterclasses were conducted during Bottiglie Aperte 2017. The topics were remarkable ranging from the vertical tasting of Barolo to Brunello di Montalcino, from Trentodoc to Puglia. Federico Gordini put together a special team for these topics, including Andrea Grignaffini, Daniele Cernilli, Luciano Ferraro, Giampaolo Gravina, Cristiana Lauro, Alessandro Rossi, Adua Villa and Orazio Vagnozzi. 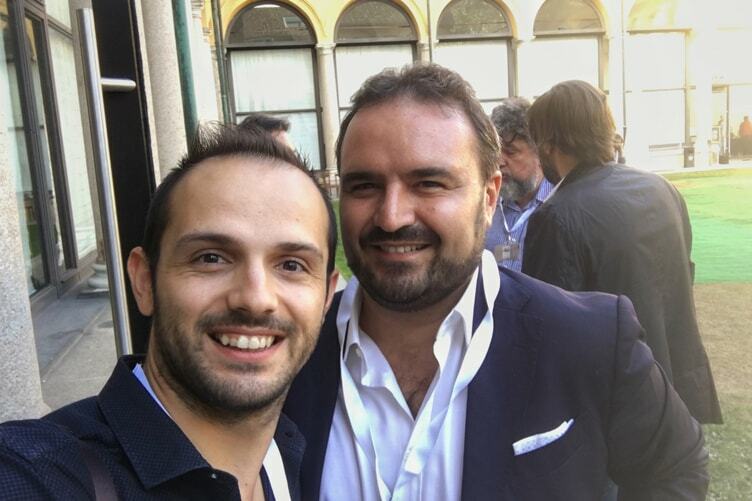 They were supported by some great wine producers and winemakers such as Ernesto Abbona, Renzo Cotarella, Bruno Vespa, Alessandro Cellai, Luca D’Attoma, Riccardo Cotarella, Emanuele Baldi, Giorgio Mercandelli and Riccardo Silla Viscardi. Also this year, the proceeds from these Masterclasses will be donated to the earthquake victims of Middle Italy by Corpo Italiano di Soccorso dell’Ordine di Malta. Personally, I took part in 4 Masterclasses and now I want to tell you something more about the wines I tasted. Orazio Vagnozzi and Emanuele Baldi guided the tasting. We started with the hot vintage of 1990. The wine had a shiny garnet red color. On the nose, you could recognize toasting, banana, truffle and undergrowth. This Barolo was in the decreasing phase of its evolution. The second wine was 2001 and it was a particular vintage because of the introduction of the barrique. The color was garnet red and the aromas were berry fruit and fading flowers. Barrique was used until 2005. The wine of this vintage, always garnet red color, was more delicate on the nose, with aromas of violet and wood strawberry. However, in the mouth, it was very strong, with a high level of tannins. The last two vintages we tasted were 2011 and 2013, very similar in aromas. 2011 had garnet red color, while 2013 had ruby red color. The nose was very delicate and elegant, both the wines had a great acidity. 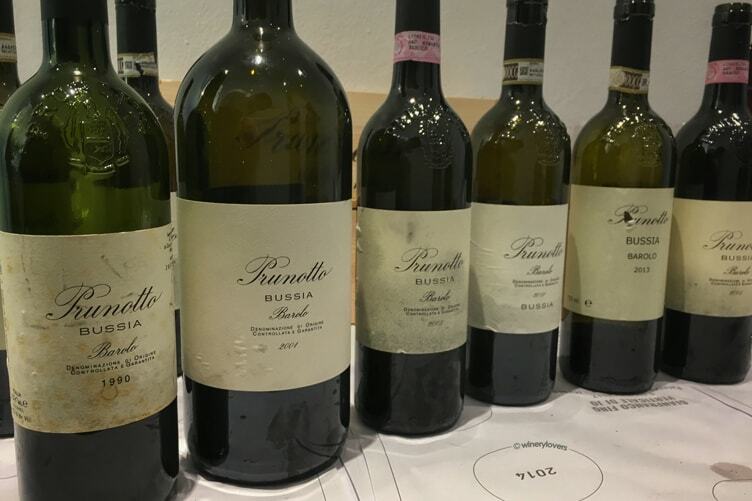 It was an interesting tasting because it allowed the participants to understand the three different styles that Prunotto applied to produce its Barolo Bussia. This wine tasting was epic because we tasted 10 different vintages, maybe too many: 2014, 2013, 2012, 2010, 2006, 2004, 1995, 1985, 1975 and 1967. Some of those bottles have been recovered from WineTip. The speaker of the Masterclass was Andrea Costanti from Conti Costanti. The first wine was not a Brunello di Montalcino, but Rosso di Montalcino. It was 2014 vintage, with ruby red color and garnet highlights. This wine was fresh, with a lot of acidity and berry fruit aromas. 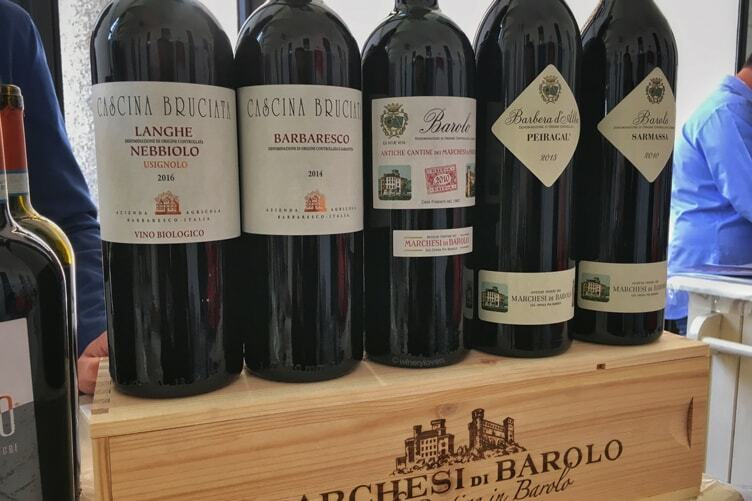 From 2013 we started the long journey about Brunello. The wines of 2013, 2012 and 2010 looked quite similar. The color was ruby red with garnet highlights. The acidity was good, the same for the tannins. The aromas were a bit different, according to the vintage: black cherry, marmalade, licorice and toasting. In 2013 there was also a grass hint. 2010 had a long finish. 2006 was the middle wine. The color was the same as of the previous ones, but it was better in the mouth (with more evolution) than on the nose. 2004 and 1995 were the two vintages that I preferred. On the nose, there was a great evolution on the tertiary smells, then spices such as nutmeg and clove. The harvest of 1995 was very late, in the first half of October. Both wines even had good acidity. The last three wines were 1985, 1975 and 1967. They had some imperfections, but I think that these were justified given the vintage. The aromas were highly evolved. 1967 was the oldest wine that I tasted in my life. It was so incredible! I would like to know what the oldest wines that you ever tasted are. You can tell me in the private wine club! 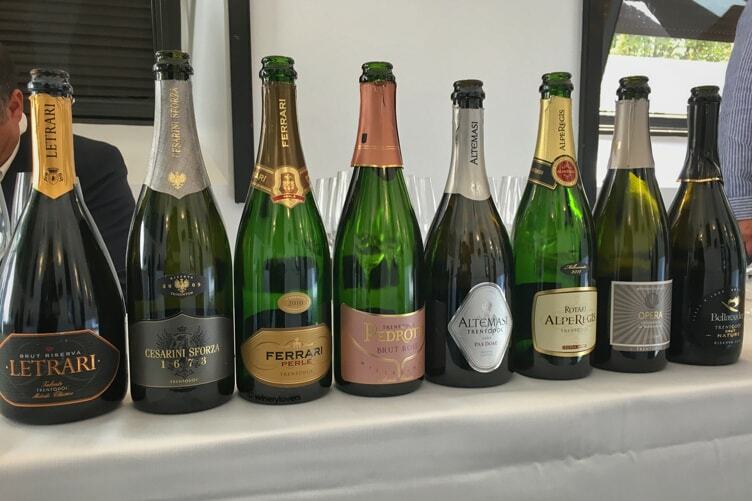 After the vertical tastings of red wines, it’s time to change with the sparkling wines of Trentodoc! Do you know what Trentodoc is? 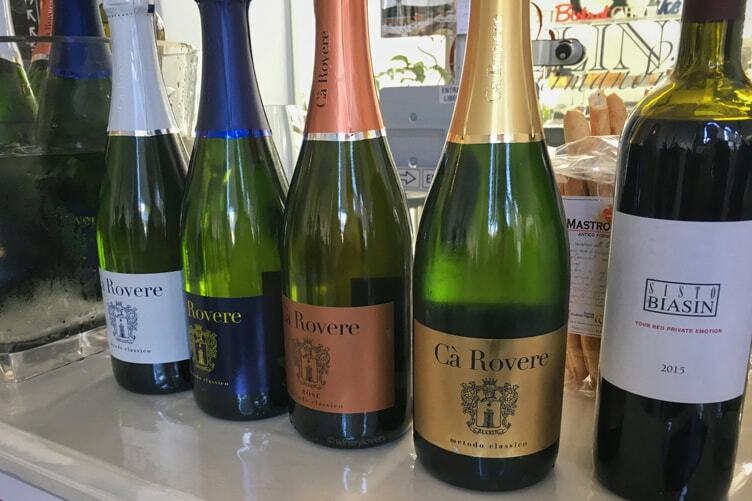 It’s the first Italian DOC for sparkling wines produced with the traditional method. Trentodoc is located in Trentino Alto Adige and it was born in 1993. Nowadays there are 48 wineries associated with Trentodoc. This masterclass was an interesting experience to understand the different styles of production from the wineries in this area. The speaker was Andrea Grignaffini. We started from Opera Nature 2011, 100% Chardonnay. On the nose, aromas of bread crust, citrus fruit, tangerine and a balsamic note. 40 months on the lees. It was a very fresh wine. The second wine was Bellaveder Brut Nature 2012. The grape is only Chardonnay. 40 months on the lees. The ageing is both in steel and in barrique. Aromas of apples and pears, tropical fruit and a hint of match. After Bellaveder, we tasted Rotari Alperegis Extra Brut 2011. Chardonnay and 48 months on the lees. Aromas of apple, pineapple, bread crust and a note of cherry. It was a little short on the finish. The forth Trentodoc wine was Altemasi Pas Dosè 2009. The grapes are 60% Chardonnay and 40% Pinot Noir. More than 60 months on the lees. Some notes of apple, peach, citrus fruit and honey. We had just reached only the first half of this sparkling trip and the level was very high. Trentodoc is an underrated region which is a big pity! You can find excellent products there, you should try them! If you need some suggestions, you can ask me. But continuing with the Masterclass, there was also a rosé wine, the Pedrotti Brut Rosé 2013. An elegant wine blended with 70% Chardonnay and 30% Pinot Noir. Minimum 24 months on the lees. The smell was small berry fruit. After Pedrotti, the sixth wine was Cesarini Sforza Riserva 1673 Extra Brut 2010. Only Chardonnay and 48 months on the lees. This wine was very fresh, sapid and with a long finish. The next wine was Ferrari Perlé 2010. It’s a wine that I know very well! I’m often in the cellar of Ferrari, as you could see on my Instagram Stories. It’s huge and I sincerely suggest you visit it. Going back to the wine, the grape is only Chardonnay. 60 months on the lees. It was an elegant and precise wine. Smelling, aromas of apple, citrus fruit and bread crust. At the end, the last wine was Letrari Brut Riserva 2010. It’s another of my favorite sparkling wines from Trentodoc. I had the opportunity to taste it more times. The grapes are 60% Chardonnay and 40% Pinot Noir. At least 36 months on the lees. On the nose, smells of apple, bread crust, spring flowers and a note of sulfur. This Masterclass was very particular because I had the opportunity to compare the traditional style with the young. I love the young style to realize Brunello di Montalcino. I prefer the high acidity, then the freshness. Before the start of the tasting, we analyzed the area of Montalcino. It presents a lot of differences to do with both the soil and the weather. This is the reason why you can find some completely different wines in a such small region as Montalcino. The speakers at this Masterclass were Adua Villa and Riccardo Silla Viscardi. 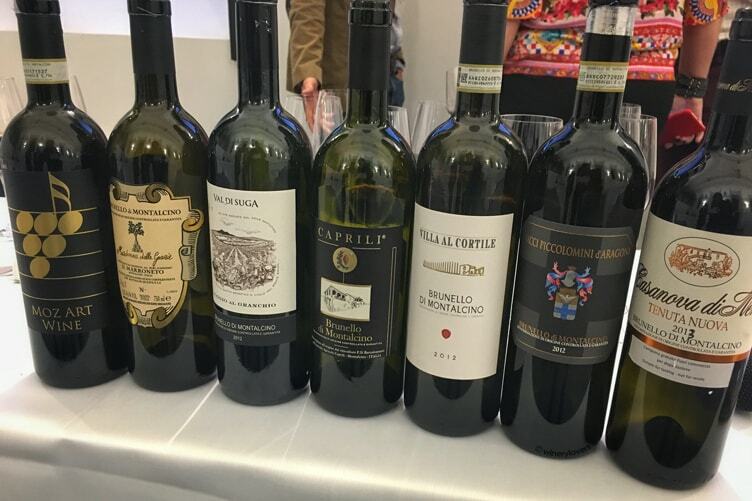 The wines with a more traditional style during the tasting were the Brunello di Montalcino from Paradiso di Frassina 2012 and Villa al Cortile 2012. Both wines looked like berry fruit marmalade. A young style Brunello was Il Marroneto Madonna delle Grazie 2012. On the nose, aromas of berry fruit, undergrowth and licorice. The tasting continued with Val di Suga Poggio al Granchio 2012. You could recognize notes of ripe fruits, undergrowth and flint. The next wine was Caprili Brunello di Montalcino 2013. I found too much toasting in this wine. My two favorite wines during this Masterclass were Ciacci Piccolomini D’Aragona Brunello di Montalcino 2012 and Casanova di Neri Tenuta Nuova 2013. The first was not news for me. I’ve tasted it several times, also in the winery itself (you should visit it). It had a great freshness! The second wine had a pleasant hint of toasting. They were introduced from the 3rd Edition of Bottiglie Aperte and every year they are more and more popular. There were still two categories: Wine List Awards and Wine Style Awards. The first award was for the best wine list, looking at prices, types and authenticity. The winners were Ristorante Del Cambio for “Best Star Restaurant”, Terrazza Hotel Gallia for “Best Hotel Restaurant”, Il Pagliaccio and Al Porto for “Best Fish Restaurant”, Pont de Ferr for “Best Meat Restaurant”, Gong for “Best Ethnic Restaurant” and Donizetti Enoteca Wine Bar for “Best Wine Bar With Kitchen”. Wine Style Awards were for the best communication and image. The winners of this prize were Lunae Bosoni for “Best Trade Show Appearance”, Nino Franco for “Best Social Communication“, Tenuta I Fauri for “Best Website”, Feudi del Pisciotto for “Best Packaging”, La Cantina degli Chef of Prime Alture for “Best Event in the Winery” and Estate Calda Caciare Freddo of Enio Ottaviani for “Best Event in the Cellar”. There was also a career award, given to Caterina de Renzis Sonnino. A new category for Bottiglie Aperte 2017 was the Wine Innovation Award, for a wine Startup. Geodetica Italian Stars and Aliante Business Solution rewarded Viniamo for its distribution and storytelling, and Querox for its new concept of barrique. You can discover the wineries list by clicking on the link below! Federico Gordini definitely succeeded in the change of style for Bottiglie Aperte 2017. More than 4.000 persons attended during the two days and 85% of them were professionals and journalists. The aim of the fair was to create the best location for networking, meeting new customers and discover the trends in the wine trade. During these two days, I had the opportunity to meet several wine friends. Wine is very special! It allows you to meet new people from all over the world. The next edition of Bottiglie Aperte will be on 7th and 8th of October 2018. I’ll surely take part in it. You should come too! Have you ever tasted one of the wines that I mentioned? Let me know by leaving a comment.